Tilly drinks a lot of water, she would rather have a glass of water than a glass of fizzy or squash. I try to drink water but I have got out of the habit of it. 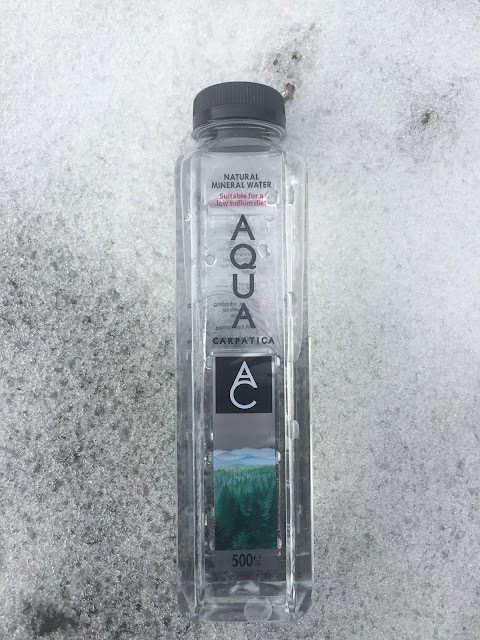 We were approached by Aqua Carpatica to try out their new naturally nitrate-free and low sodium mineral water.The bottles are different to what we normally see on the shelf, meaning it will stand out to customers and they are square, which is so much easier for storing bottled water at home in the fridge. Aqua Carpatica is natural mineral water that comes from the Carpathian Mountains that range from the Czech Republic to Romania. the water is sourced from two springs deep inside the pristine and beautiful mountains. The home of Aqua Carpatica is protected from chemicals, fertilizers, CFC's and other contaminants, which is why they can offer the water as the only nitrate free and low sodium water in the world. So whats the benefit of Aqua Carpatica? The naturally very low nitrate element of the drink is beneficial for pregnant women because we all want to protect our unborn babies from any chemicals in our body. Nitrates are fertilizers, so if you can drink water without nitrates, you're on the right way. Sodium is, of course, salt and we all have too much salt in our diet. It is added to most of our food these days. Have you ever read the salt content on a tv dinner? It's scary. So Aqua Carpatica only has a 0.6 mg per litre of sodium in it, meaning you can be sure of a low salt content in the water. The water also contains natural electrolyte and minerals, these are obviously extremely important for our body to work smoothly because electrolytes allow for your muscles and nerves to work properly. Electrolytes also regulate the fluids in your body, meaning your blood volume and pressure will work smoothly too. When you sweat, you lose electrolytes, so it is important to replenish them with a mineral water containing more electrolytes. Although we need sodium in our body, as I said in a little further back in this post, these days we sometimes have an excessive amount of salt in our body, so this water is excellent for those on a low sodium diet for health problems and those that get sodium from other things that they eat and drink in a day. I like the bottle design very much, its BPA free and 100% recyclable, which is important to us. Its square, instead of round and the design is square rather than round, which I find better for storing in the fridge. The price is really good, it's RRP is 69p for 500mls of the still mineral water, 89p for a litre and £1.35 for 1.5 litres. So its friendly on the pocket! The water is refreshing and tastes like it has come from the mountains because it's got no other taste than the pure mountain water. It has no aftertaste and we enjoyed it. 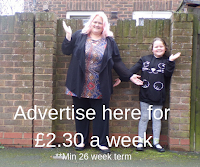 We would buy it again because the price is very appealing and it comes in small bottles of 330mls, that Tilly uses more than anything because she can pop them in her lunch box for school.